Travel around the world is at an all time high. This is partially due to the fact that many jobs can be done remotely, freeing people from having to stay locked down to one part of the world. This year, many new trends are emerging for those with the travel bug and the means to do so. The growth in Middle East traveling has recently surpassed the big time destinations such as Europe and South America and it is not slowing down anytime soon. According to a recent poll from the World Tourism Organization, the Middle East is the fastest growing travel region and the Palestines are leading that growth with 57.8% growth of international visitors. There was a time when travel to the Middle East was looked down upon from the United States, but times have changed and culture & history are waiting to be discovered. There has been a boom in solo travelers. No longer are the days when you need a partner or group of friends to travel with. Many people are taking it upon themselves to travel and explore on their own, leaving them more opportunity to meet new people and dive into the culture. There are even more incentives now to travel by yourself with some hotels giving discounts to these travelers. Travel companies are creating travel products to not only cater to the solo traveler, but to celebrate them. There has not been a better time to travel by yourself than now! Winter time is now a sought after travel period. With winter festivals taking place worldwide as well as the seasonal difference on the other side of the equator, more families and other travelers are choosing to explore areas of the world during the winter. The Christmas markets in Germany alone will take your breath away, not to mention skiing in the Swiss Alps or experiencing winter time in Paris. The snow atop European castles will make you want to save your traveling for the winter time. The time has passed where an extreme adrenaline rush is required in order for a vacation to be considered adventurous. Travelers are now eager to based their experience of adventure in regards to immersing themselves into new and different cultures. This could be anything from taking cooking classes, to going on wine tastings, and more. There’s so much more to learn about a country and its people, so hanging out with the locals, trying new foods, and being a part of traditions is the best way to create that memorable experience when traveling. Places like Paris, Rome, London, etc. are becoming extremely over populated with tourism. 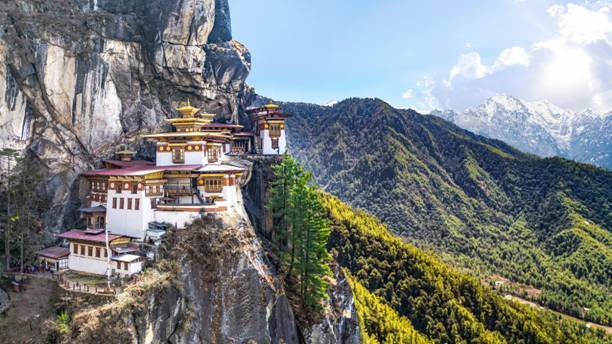 Meanwhile places like Tiger’s Nest Temple in Bhutan has yet to truly be marveled at. Most people will never be able to discover the road less traveled because they are so busy trying to play catch up with what the rest of the travel world is doing. Fortunately, avid travelers are realizing this and taking it to a new level by going off the beaten path. This does not mean walk into the wilderness by yourself because it’s adventurous. We’re talking about going to places that are not very common and have not been over explored. It’s definitely a new trend, so we expect many more “not-so-popular” places will be making appearances on Social Media soon.